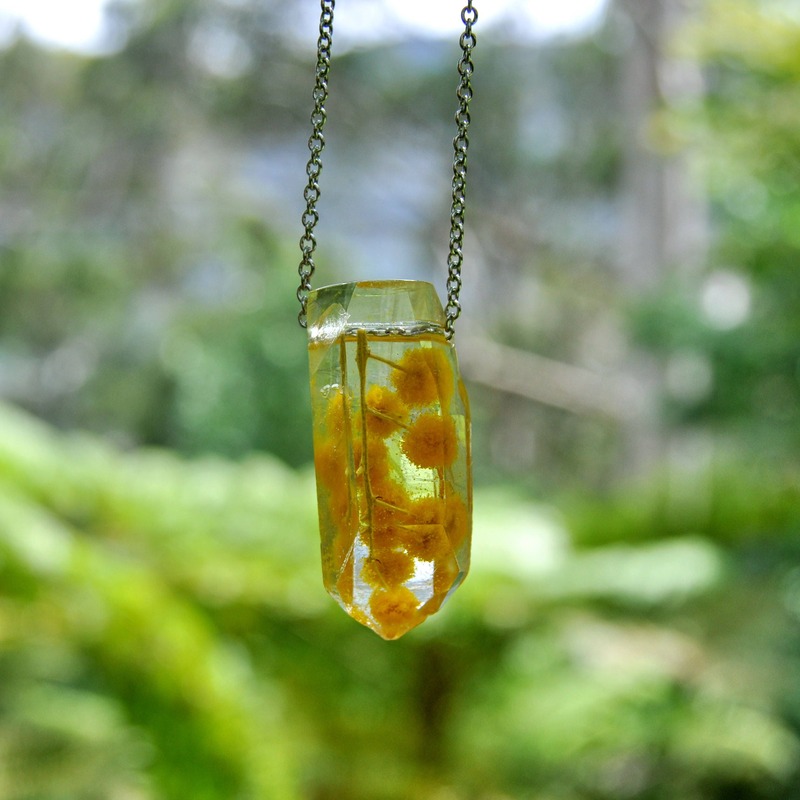 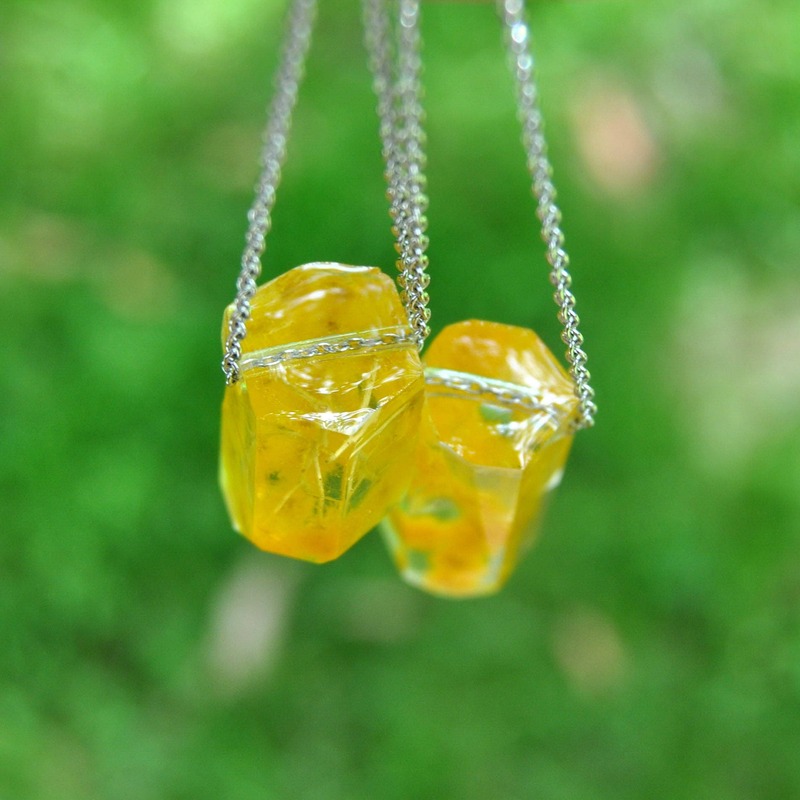 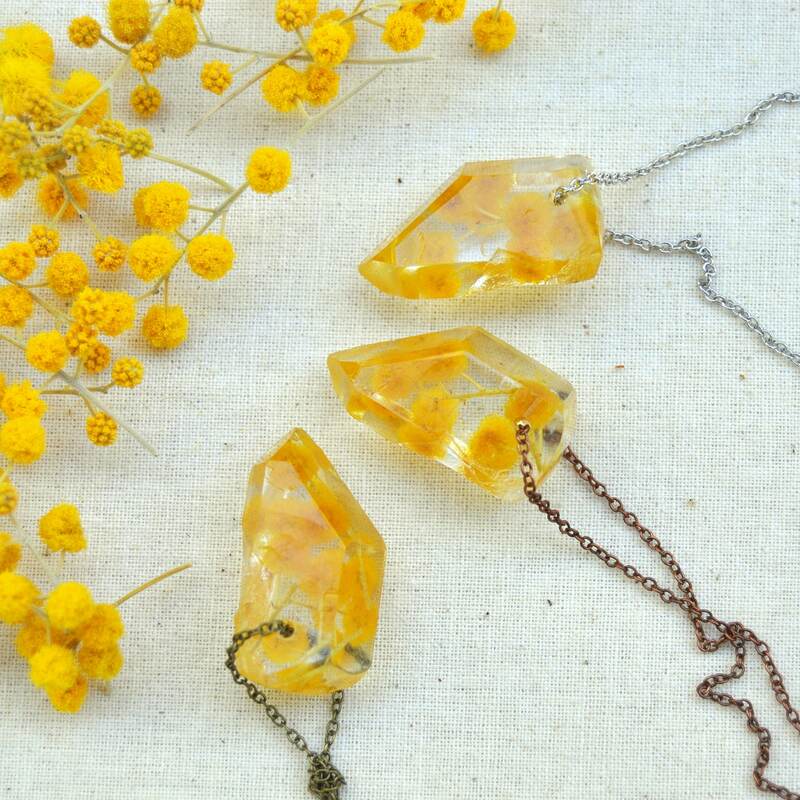 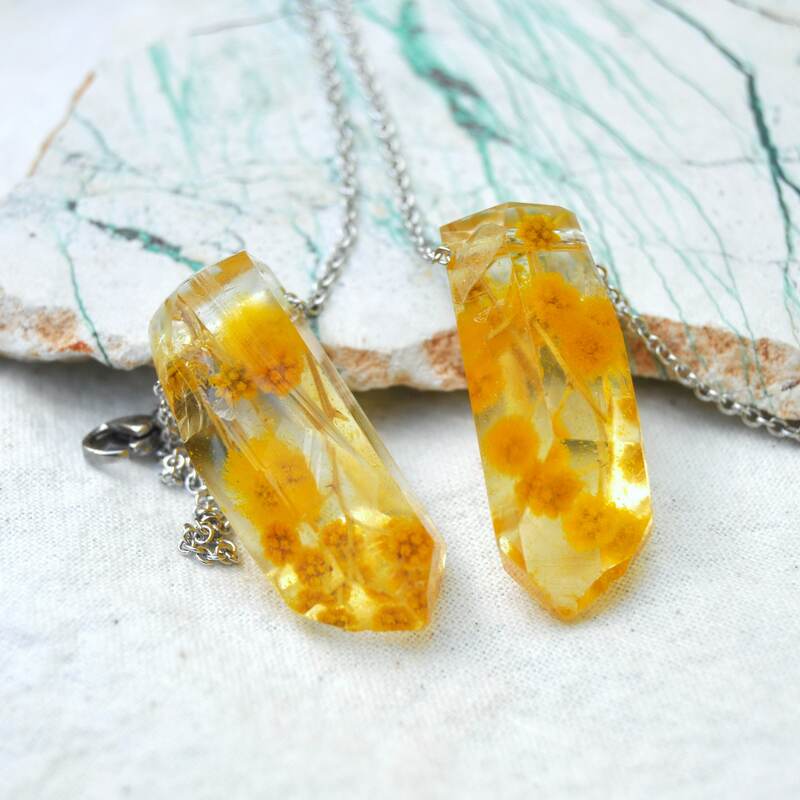 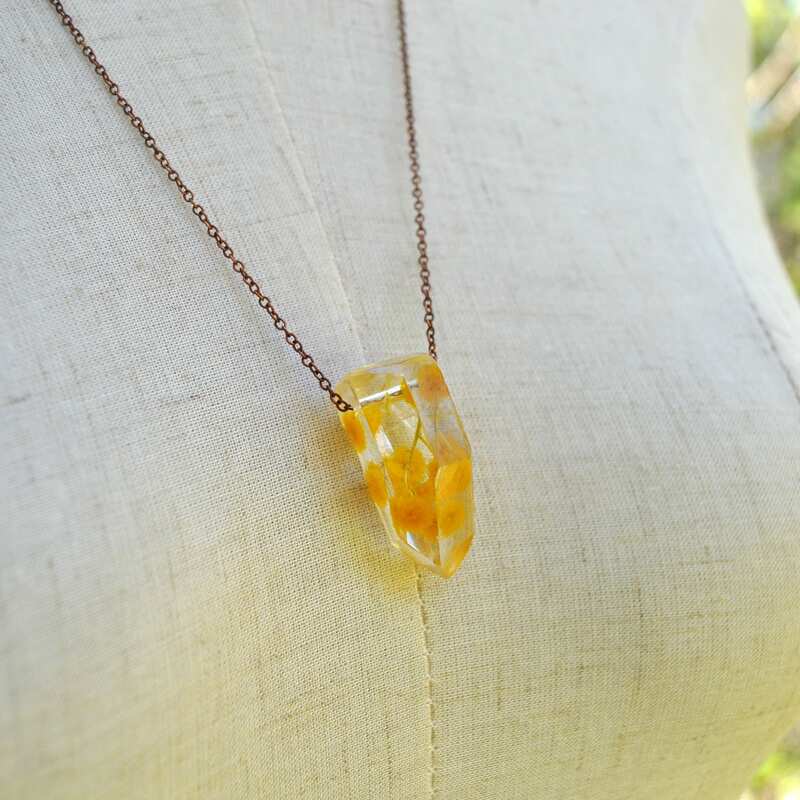 This beautiful crystal necklace was made from eco resin and real golden Wattle blossoms, and could make a perfect Australian themed gift (or present for yourself). 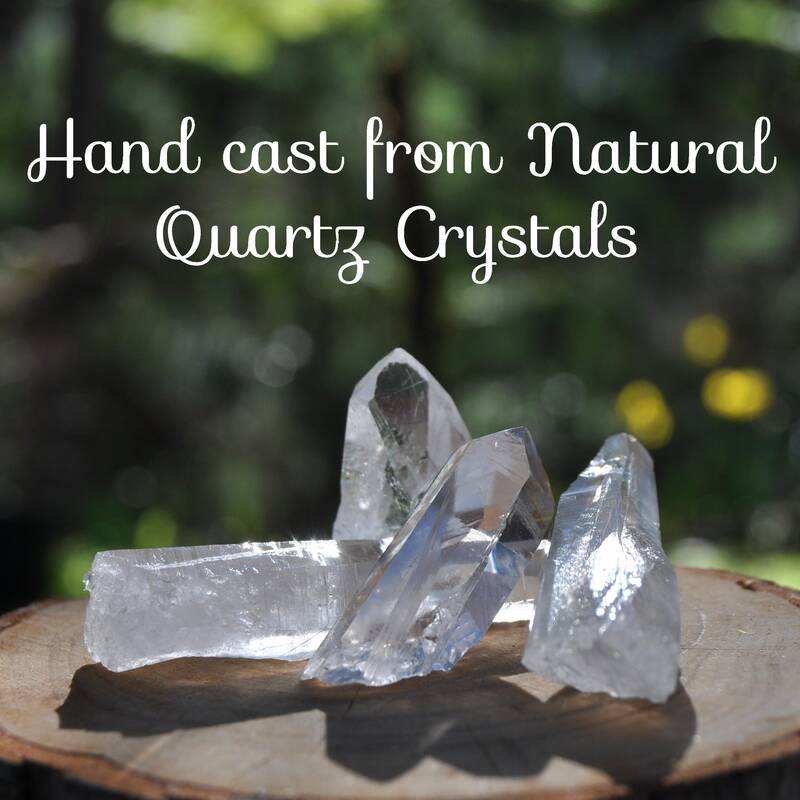 Each crystal is made in a multi-stage process, which includes hunting for raw materials, mold-making, casting, sanding and polishing. 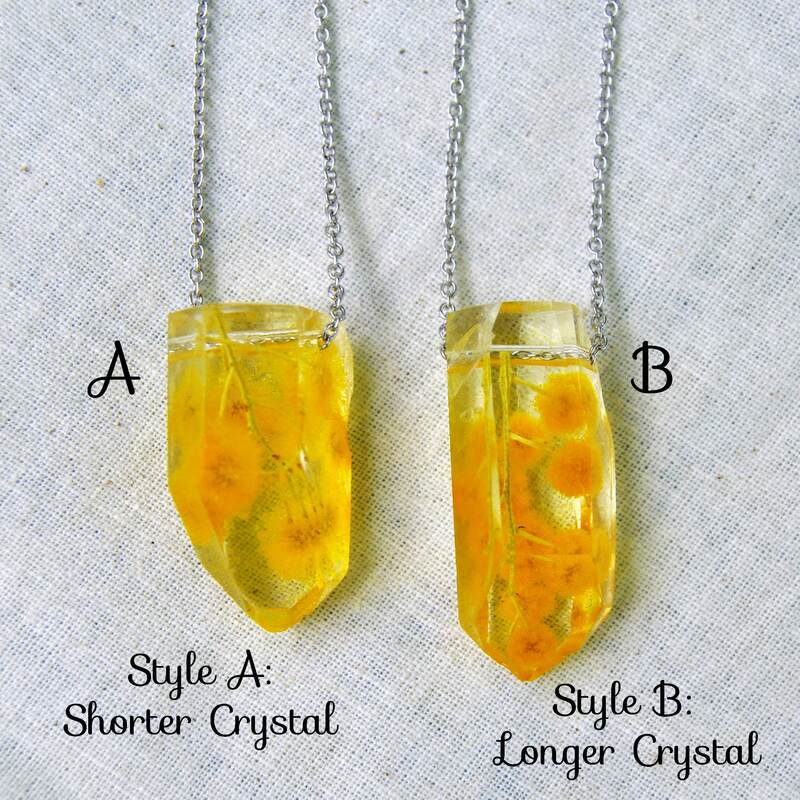 >> Style B - a slightly longer crystal, 35x15mm. 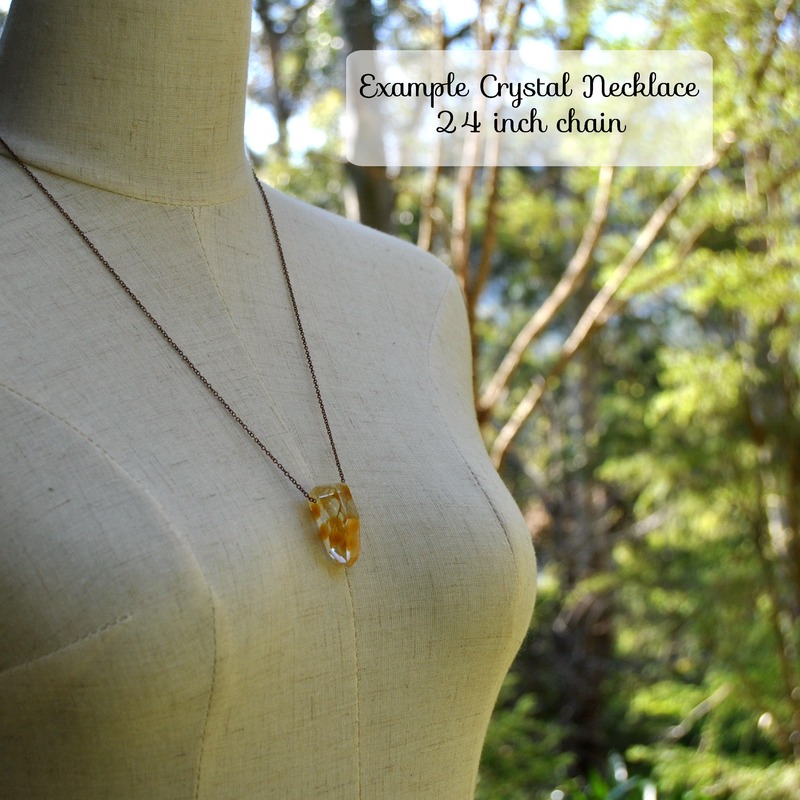 Each comes strung on a fine, 24 inch chain. 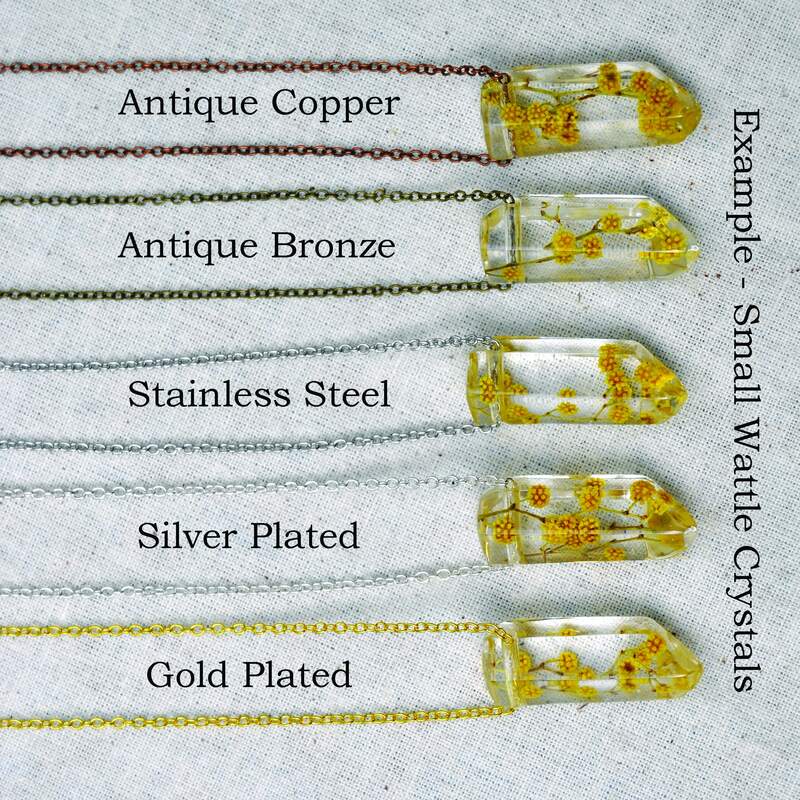 Please choose from either stainless steel (the strongest and most tarnish resistant chain), or antique copper or antique bronze plated chain. 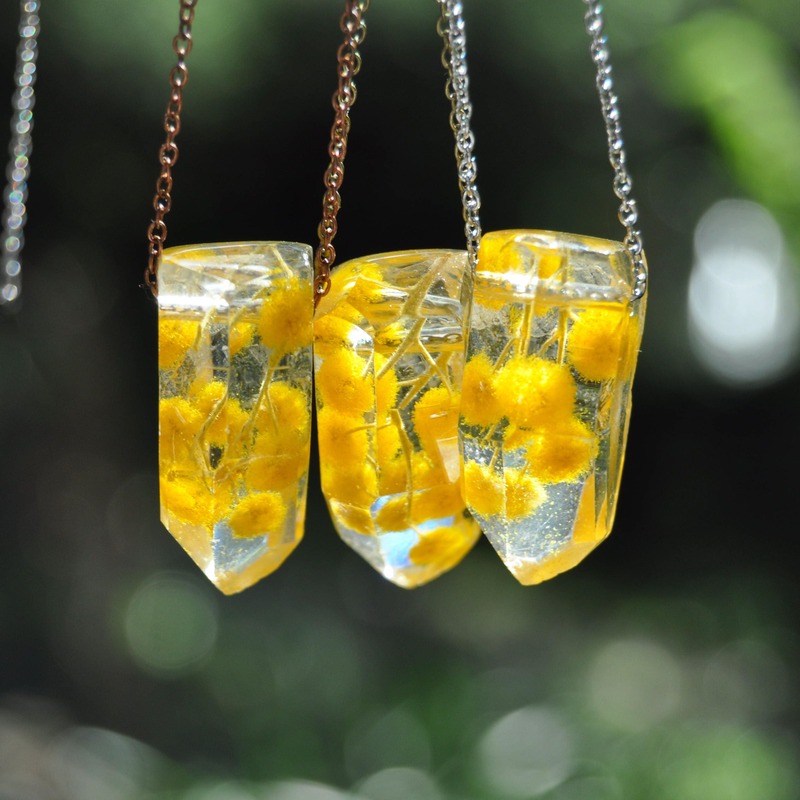 If you require a chain in a different length, just leave a me note at checkout - I make all chains to order.